New research published in Canada is sounding alarms about Porcupine caribou and the risks of drilling in Arctic Alaska. The authors say a U.S. report doesn't offer enough proof to suggest mitigation measures would work. As Canada prepares its final submissions to the U.S. about Porcupine caribou and the Arctic National Wildlife Refuge, two pieces of research are already locking antlers. Some new research published in Canada is sounding alarms about Porcupine caribou and the risks of drilling in Arctic Alaska. The authors question U.S. researchers' accuracy and understanding of the species. The new risk assessment was conducted by Shadow Lake Environmental Inc. It was commissioned by Environment Yukon, the Northwest Territories Department of Environment and Natural Resources and the Canadian Wildlife Service. The document runs 144 pages and was published this month by the Porcupine Caribou Management Board. 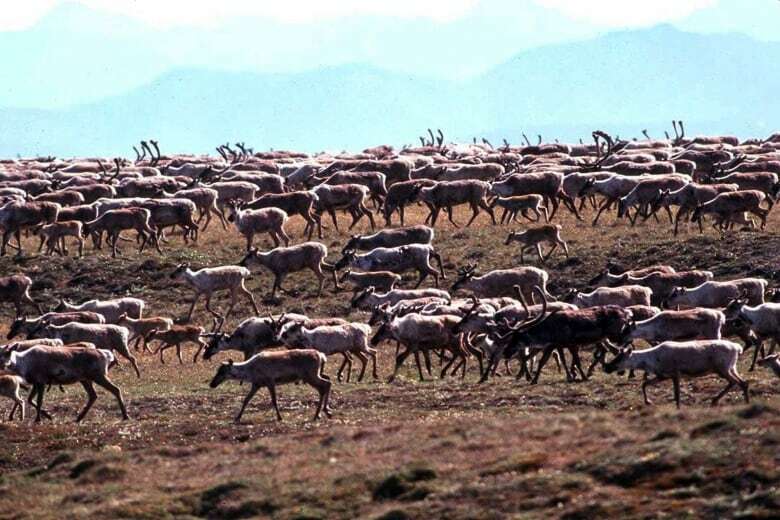 A summary says that development in a specific area of the Arctic National Wildlife Refuge could bring "an unprecedented, major decline" in Porcupine caribou. The report also maintains that a draft environmental impact statement by the U.S. Bureau of Land Management fails to consider certain information, namely, migration patterns, which are different from those of other herds, such as the Central Arctic herd. The report says the U.S. document's methodology did not use a "fulsome quantitative analysis which would be expected in an environmental assessment process." The American environmental impact statement is 392 pages long and proposes measures to reduce the potential harmful effects of drilling on various species. For Porcupine caribou, it says construction using heavy equipment could be banned in the animal's primary calving area between May 20 and June 20, unless caribou enter the area earlier. 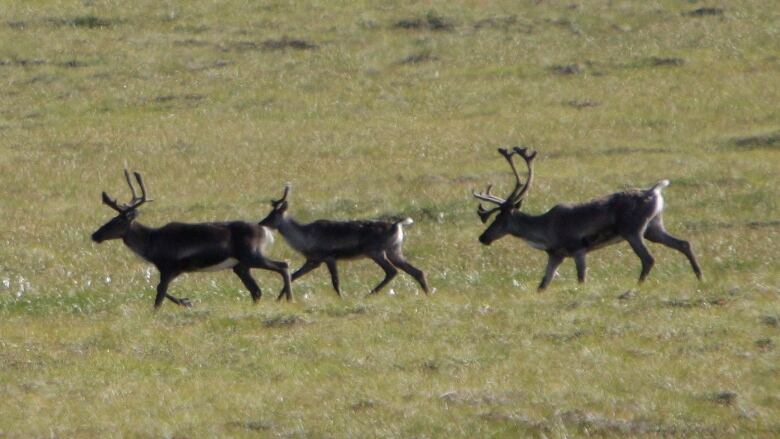 Another suggested option is to evacuate sections of road if a group of caribou is likely to cross. Proposed restrictions include limits on aircraft. The U.S. document states that the "use of aircraft, especially rotary wing aircraft, [could] be kept to a minimum near known subsistence camps and cabins or during sensitive subsistence hunting periods (spring goose hunting, summer caribou, and fall moose hunting)." 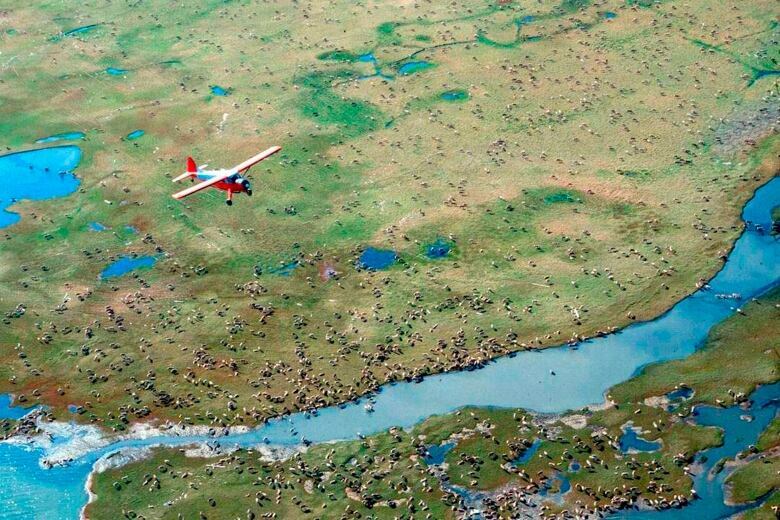 Planes would also have to maintain an altitude of at least 450 metres when flying over the caribou calving range. The Canadian study says the U.S. document "does not provide scientific support that indicates the mitigations would be effective." The U.S. draft environmental impact statement says most Porcupine caribou are hunted in Canada. It says 45 per cent of all hunting was done by the N.W.T. Gwich'in people, followed by Inuvialuit at 20 per cent, Yukon Territory First Nations at 13 per cent and Alaska Native people at 12 per cent. The remaining 10 per cent was split between Yukon and Alaska residents and non-residents. 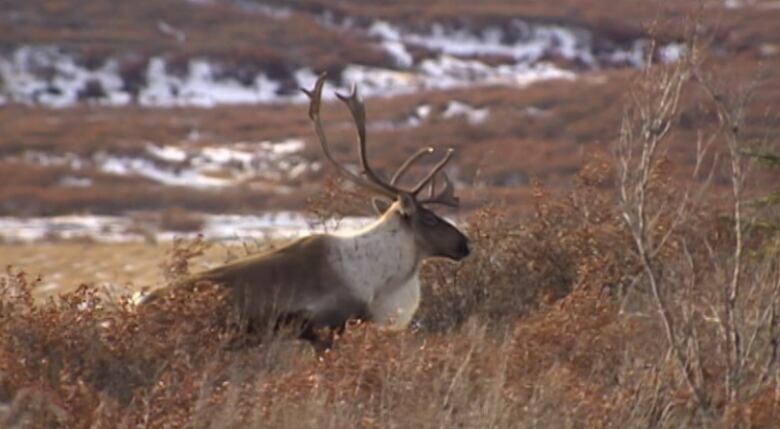 The Canadian document says a decline in the Porcupine caribou herd "will very likely have serious, unavoidable and far-reaching impacts on the Gwich'in, Na-cho Nyak Dün, Vuntut Gwitchin, Tr'ondëk Hwëch'in, and Inuvialuit Peoples as well as Alaskan Inuit and Native American Peoples in the Western Arctic who depend on these animals for food, clothing, and their cultural identity." The Yukon government is in the process of finalizing a submission to the U.S. Bureau of Land Management. The public can comment on the matter until March 13. However, Yukon's position is already clear. "The Government of Yukon will continue to stand in solidarity with the Gwich'in Peoples, advocating for the protection of the Porcupine caribou herd's sacred and sensitive calving grounds on the Alaskan coastal plain," reads a statement from Roxanne Stasyszyn, spokesperson for territory's environment department. A Vuntut Gwichin First Nation delegation campaigned against drilling on a trip to Washington. D.C. in 2017. The N.W.T. government has also confirmed it is against drilling because the risks are too great to be effectively mitigated.